Churchill’s personal papers are among the most comprehensive ever assembled relating to the life and times of one man. They are so extensive that it is only possible to include in the narrative volumes a part of the relevant documents. The Churchill Documents were planned to run parallel with the narrative volumes, and with them to form a whole. This volume covers the start of World War II. 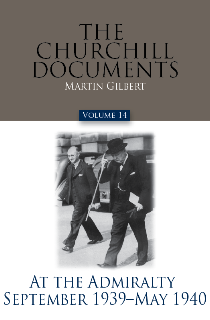 As with previous volumes, it collects a remarkably wide range of archives too voluminous to include in Randolph S. Churchill and Sir Martin Gilbert’s multivolume biography of Winston Churchill. Sir Martin Gilbert was born in England in 1936. He is a graduate of Oxford University, from which he holds a Doctorate of Letters, and is an Honorary Fellow of Merton College, Oxford. In 1962 he began work as one of Randolph Churchill’s research assistants, and in 1968, after Randolph Churchill’s death, he became the official biographer of Winston Churchill. Since then he has published six volumes of the Churchill biography, and has edited – to date – now sixteen volumes of Churchill documents. 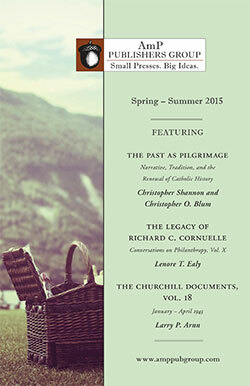 As a Distinguished Fellow at Hillsdale College, Michigan, he is currently completing the Churchill document volumes. During forty-eight years of research and writing, Sir Martin has published over eighty books, including The First World War, The Second World War, The Somme: The Heroism and Horror of War, D-Day, The Day the War Ended, and a three-volume History of the Twentieth Century. He has also written, as part of his series of ten historical atlases, Atlas of the First World War, and, most recently, Atlas of the Second World War. Sir Martin’s film and television work has included a documentary series on the life of Winston Churchill. His other published works include Churchill: A Photographic Portrait, In Search of Churchill, Churchill and America, and the single volume Churchill, A Life.